Build the academic muscle you'll need to compete in your career. Whether you want to work in strength conditioning, corporate or community wellness, or cardiac rehabilitation, LVC's exercise science major prepares you to work with clients who have a range of needs, diseases, and injuries. By the time you graduate, you'll be able to help your clients perform exercises and improve their overall well-being, all while designing interventions based on scientific research. At LVC, we'll help you tailor your exercise science degree to your career interests. You can pursue the Professional/Graduate Track or the Health and Wellness Track. Professional/Graduate Track: includes foundational sciences of biology, chemistry, and physics, along with fundamental and advanced exercise science coursework. Students in this track are on a trajectory toward possible graduate school admission in allied health fields, basic science, or more clinically oriented careers such as cardiac rehabilitation and exercise physiology. Health and Wellness Track: designed for students who wish to pursue careers in health and fitness areas such as community based adult and child fitness, corporate wellness, performance optimization, and health promotion. This track focuses on foundational anatomy and physiology, chemistry and physics, and foundational and advanced exercise science coursework. In both tracks you'll develop a background in scientific knowledge, create an outstanding portfolio of independent projects, and gain the hands-on experience you need to jump-start your career in exercise science. Apply to our Bachelor's Degree in Exercise Science for first-year undergraduates, or transfer in as a non-traditional student. Apply to our Bachelor's Degree in Exercise Science for first-year undergraduates or transfer into the program. Master your degree requirements, from anatomy to exercise testing. Our dedicated faculty, state-of-the-art facilities, and project-based learning opportunities ensure that you'll be prepared for a world that needs you. 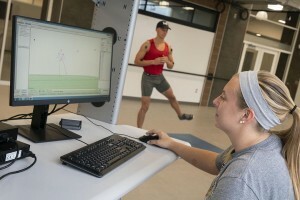 Students in exercise science explore how human performance affects exercise and learn how to promote a healthy, balanced lifestyle to the public—all under the watchful eye of faculty members who are practicing clinicians. Through presentations and our professional practicum, you'll learn the patient communication skills employers seek. We promote critical thinking, evidence-based research, and self-directed learning, so you can contribute to society through education and community service as a lifelong health careers professional. We want you to succeed outside of the classroom setting, too. You'll gain hands-on experience with athletes and clients, and get out in the community through our professional practicum. 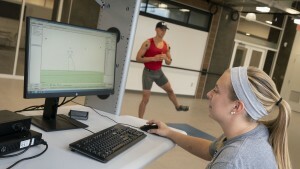 What Makes Learning Exercise Science at LVC Special? Exercise science is a relatively new field. It's an exciting, diverse area of study that developed out of an important need. Exercise scientists communicate directly with their communities about how to exercise safely and live healthier lives, an increasingly important skill as America struggles with health and wellness. As healthcare shifts its focus toward prevention rather than treatment, your skills will be in demand in the new marketplace. According to the U.S. Bureau of Labor Statistics, graduates trained in exercise science can expect a 13% increase in employment opportunities between 2016 and 2026. Our Bachelor's Degree in Exercise Science prepares you to enter this field as an exercise physiologist, strength and conditioning coach, clinical exercise specialist, or corporate wellness expert. You'll also be able to work in any number of settings, from public schools to corporate wellness programs, and from fitness centers to health clinics. You may even wish to pursue graduate study in physical therapy or further certification from the National Strength and Conditioning Association before entering the workforce. LVC has an excellent track record in physical therapy, and our reputation for success will help you enter the profession on the right foot. 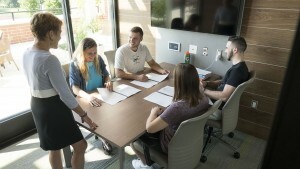 In addition to professional networks like the National Strength and Conditioning Association, you'll be welcomed into LVC's active alumni network for support and professional guidance. 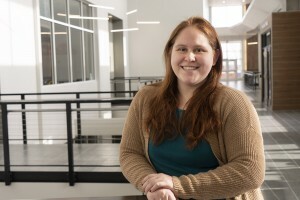 I attended an international conference with one of our new faculty members, and I have already witnessed the international connections that LVC health professions programs will have with countries like the United Kingdom, Taiwan, Italy, the Netherlands, and more. 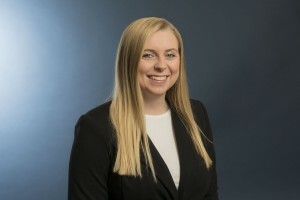 Katelyn Warnke '20 feels her personal experiences with illnesses led her to pursue a degree in exercise science. Jessica Zeiner '19 traveled to London and was the only undergraduate to participate in the 3-D Analysis of Human Movement conference.